Ida Revels Redmond, the daughter of Hiram Revels. A nearly forgotten cemetery in west Jackson, the burial site of African Americans as far back as the early 19th century, is being restored and recognized for its historical relevance. The more than 200-year-old Mount Olive Cemetery is now on the National Register of Historic Places. 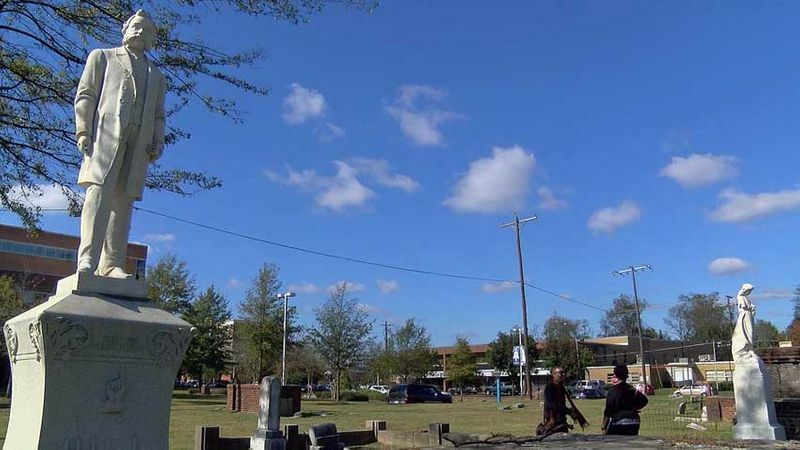 Jackson State University researchers and the work of members of the Stringer M W Grand Lodge on Lynch Street led to the restoration of a cemetery, home to slaves and statesmen. "We want to make sure the story is told how it was," said Heather Wilcox who spearheaded the Mt. Olive Cemetery Project. That story is of African Americans in the cemetery adjacent to Jackson State University. It dates back to the early 1800's. The burial site on Lynch street began on a plantation. There rest the souls of more than 1,400 slaves, laborers, business owners and an elected official. "I found a death certificate of a man who was shot and killed by the police in 1940, and that was indicated on his death record," said Wilcox who began researching the cemetery in 2015. "Another shocking thing was the amount of babies that are buried there." Combing through state death records, she discovered 268 identifiable graves and 1,193 unidentified. There are one thousand four hundred 61 graves. The Topeka Kansas native found documentation of 241 children less than one-year-old and 95 children five and younger. 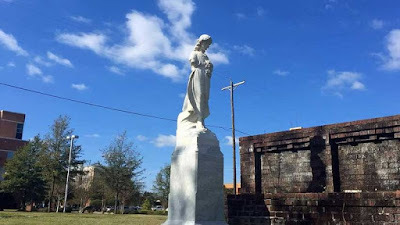 It is history the researcher and JSU doctoral candidate was drawn to and yearned to know more about when she moved to Jackson in 2010 and visited the cemetery. "I want them to know when they walk past that we remember them," said Wilcox. "That we know who they are and that we are paying homage to them because they've laid the foundation to where we are and where we're gonna go." 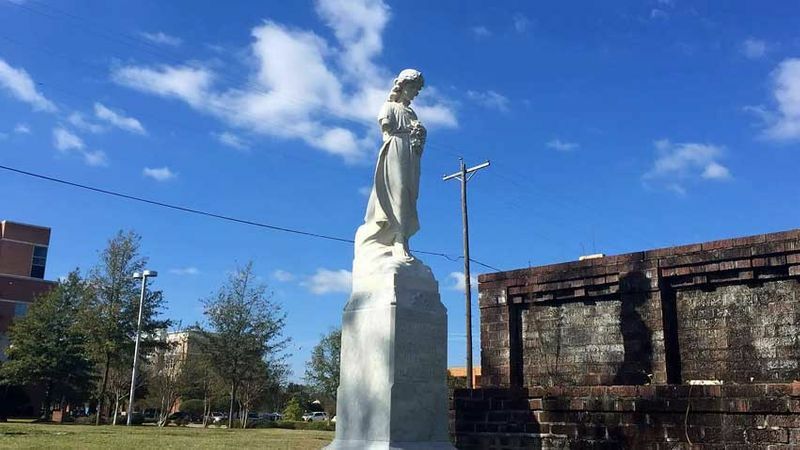 Two statues were restored and tower over the resting place of graves identified and unknown. They are Jim Hill, a former slave, elected Mississippi Secretary of State in 1874 and Ida Revels Redmond, the daughter of Hiram Revels. He was the first African American elected to the U.S. Congress in 1870. "Our forefathers who built those statues wanted us to remember," added Wilcox. "That cemetery reflects the history of Mississippi," said Milton Chambliss whose grandfather is buried in Mt. Olive. J.R. Chambliss was a prominent Jackson businessman who operated a shoe repair business across the street from the cemetery. The elder Chambliss also established the first African American Boy Scout Troop in the state at Pearl AME Church. "We have actually a gold mine of black history in the United States, from the Civil War to slavery, before the Civil War to the Reconstruction Era to the Civil Rights Era and right up to today," said Milton Chambliss. The ceremony celebrating the Mt. 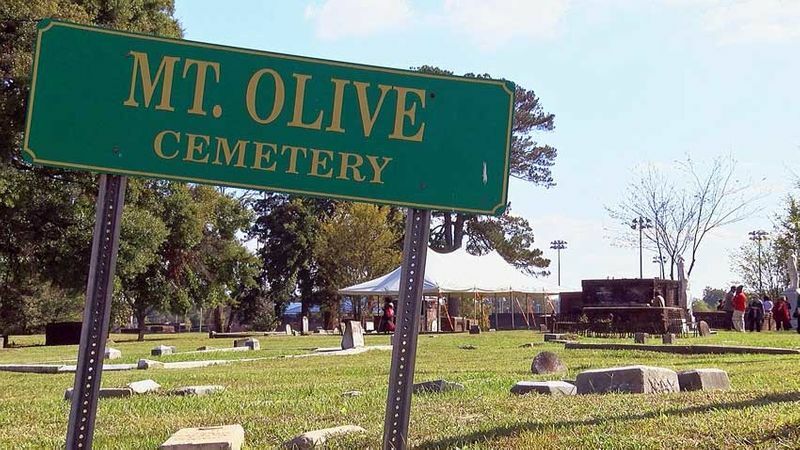 Olive Cemetery Project was filled with nearly 200 people; many who had a hand in the project from the university to cemetery descendants and the community. Wilcox's research uncovered the first documented burial was that of a six-day old child who died June 25, 1807. Mrs. Barbara Chris Curry Turner was the last known person to be buried at Mt. Olive. Her death date is April 18, 1997.